Mr. Arndorfer grewup in southwestern North Dakota on a ranch and farm. He graduated Law School in 1982 from the University of North Dakota. He worked at the County Attorney's Office, Yellowstone County, Billings, MT for one year and then went into private practice with a firm for 3 more years. He has solo paracticed since that time. 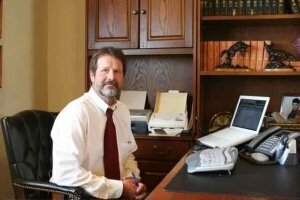 He has practiced criminal defense for 35 years in courts throughout Montana from DUI defense to Homicide charges in both State and Federal courts. His webpage is www.arndorferlaw.com.